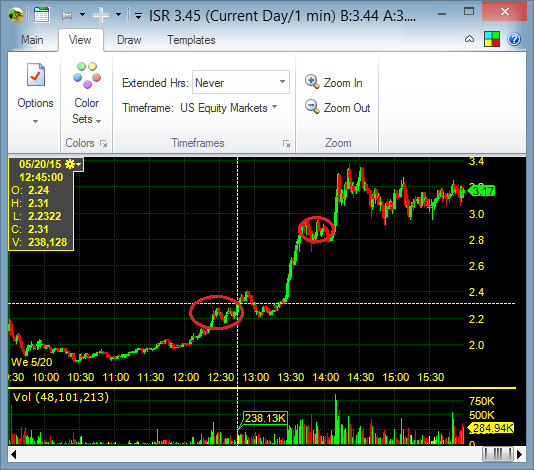 I traded ISR today. I bought the breakout at 2.23 and sold at 2.88. It ran on lung cancer data. Cancer stocks can go big time. I bought into a bit of a spike. I could have waited longer for a pullback which actually came but made a good choice to just get some filled with a wide stop.